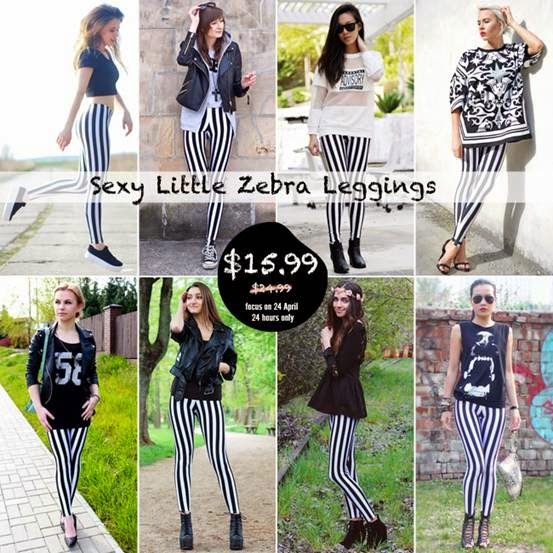 romwe zebra leggings sale 24 hours only! Black and white will always be a classic! When they're combined into a pair of leggings, they morph into a perfect piece that will highlight all your summer outfits flawlessly. Terrifically striking when paired with more whites or blacks and beautifully bold when used to anchor brighter colors such as neons. The upgraded little zebra leggings of Romwe are made even better now by creating a longer and slimmer silhouette for your legs! Even better is that you can now get it at 36% off for 24 hours only, plus and additional 10% off when you use the code: 10%offleggings upon check out!